Launching an all out assault on Midwestern hip hop, Stevie Stone is bringing his rough and street inspired stylings to the independent level. Coming out of St. Louis, the brash MC has spent years carving out his own spot in the music industry. A deal with legendary Ruthless Records saw the release of his debut album, New Kid Comin’. Filled with speaker knocking hits, the album also gave way for Stevie Stone’s hit single, “Midwest Explosion”, featuring Tech N9ne. A spot on Tech N9ne’s K.O.D. tour would later give Stevie Stone a crash course on the touring game. Stone would continue to keep his music relevant with constant mixtape releases, and thanks in part to his signature growling vocals, would become instantly recognizable. It was no suprise then that after parting ways with Ruthless Records, Stevie Stone would make his way to the independent powerhouse that is Strange Music. The partnership seemed like an absolute perfect fit, with Tech N9ne personally branding Stevie Stone as one of the best MCs to join Strange Music. 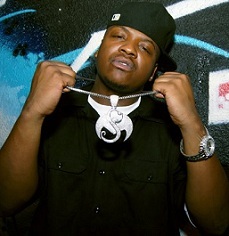 Not long after the ink was on the deal, Stevie Stone was placed on the All 6’s And 7’s Tour as the newest official Strange Music Artist. A blazing feature on Tech N9ne’s “Overtime” from All 6’s And 7’s has given fans their first taste of what Stevie Stone has in store for them. With his first Strange Music release due next year, Stevie Stone is preparing get the entire independent scene STONED. Click here to visit Stevie Stone on his official Facebook page.